Dr. Alicia Quach holds a Bachelor of Medicine, Bachelor of Surgery (MBBS), is a Fellow of the Royal Australasian College of Physicians and a Masters in Public Health (MPH). She practices as a general, and developmental and behavioural paediatrician. 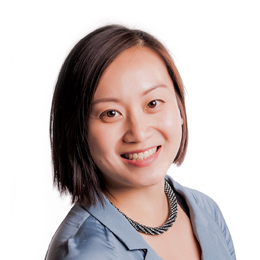 Dr. Quach graduated from the University of Melbourne and received her Fellowship in Paediatrics through the Royal Australasian College of Physicians. She has trained through the Royal Children’s Hospital, Melbourne and has also worked at Starship Children’s Hospital, Auckland. Her subspecialty is in Community Child Health. She has completed a Master of Public Health through Monash University and is passionate about advocacy for children and their families both locally and abroad. Her clinical interests include newborn and infant issues, developmental and learning difficulties, refugee health, and general paediatrics including asthma and eczema. Her non-clinical interests lie in research and program development for children in developing countries, and she performs research part-time through the Murdoch Children’s Research Institute. She is also the academic co-ordinator of the research year for medical students through the University of Melbourne, Department of Paediatrics. To book an appointment with Dr. Alicia Quach please visit our Contact Us page or Request an Appointment.